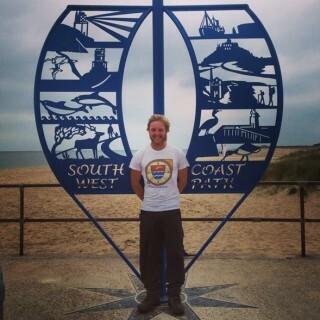 It took Ross Packman 50 days to walk the entire South West Coast Path with ViewRanger, as part of his ‘Forgotten Paths’ challenge for charity, which was supported by local people along the way. Ross was sponsored by ViewRanger as part of the ‘Track my National Trail’ challenge. He used the ViewRanger app to view Ordnance Survey mapping for the entire National Trail, on his phone. As Ross was going to be heavily reliant on his phone to contact local guest houses and B&Bs, ViewRanger also provided him with a PowerMonkey Explorer – a solar powered battery charger. The South West Coast Path is one of the toughest trails in the UK. The path falls and rises with each river mouth that enters the sea, meaning Ross had to climb almost four times the height of Mount Everest to complete the National Trail. The ViewRanger app has in-built tracking software which records your change in altitude over the course of your hike, and displays it in an informative altitude profile. 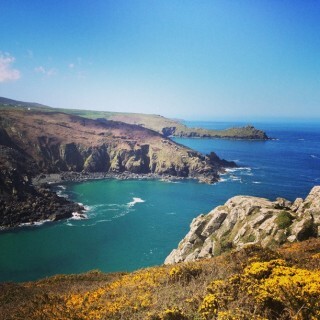 “The highlight of the trip was the rugged and remote stretch of Cornish coastline between St Ives and Pendeen. Walking around that part of the trail really felt like I was fully exposed to the wilderness and beauty the UK’s countryside has to offer. So far Ross has raised over £2800 for Alzheimer’s Society by completing his National Trail Challenge. If you would like to support Ross’ fantastic achievement you can do so here.